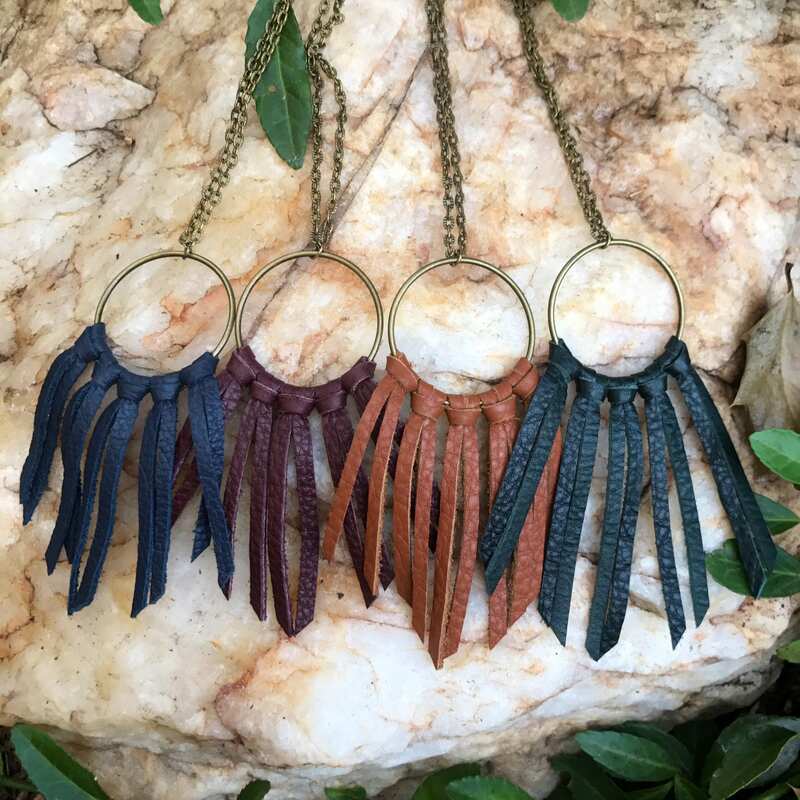 Let your wild spirit shine with this fun leather fringe necklace. 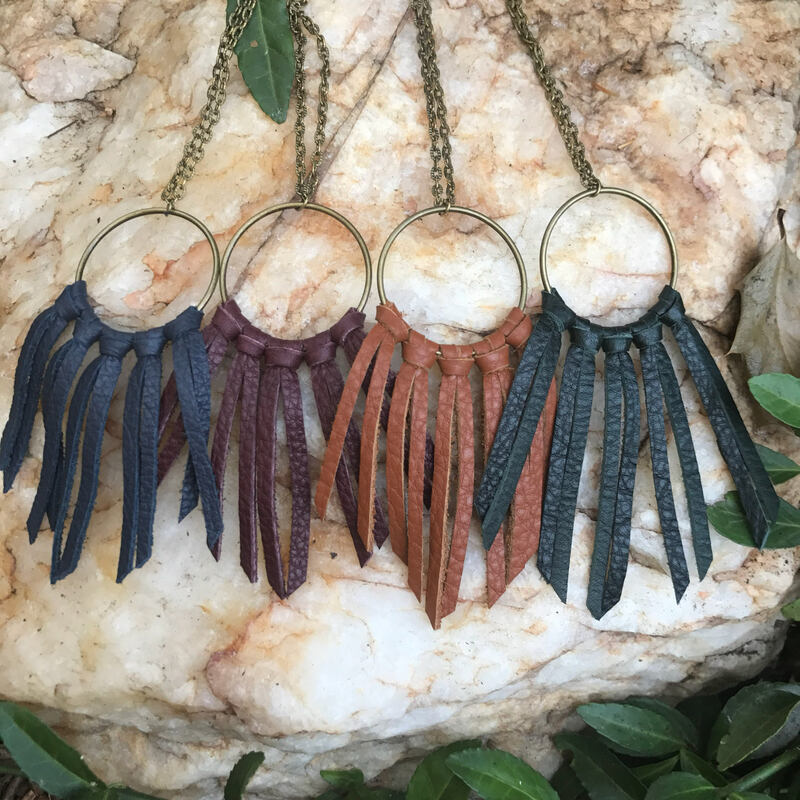 This soft beauty is the perfect accessory when you want to be different, and bold. 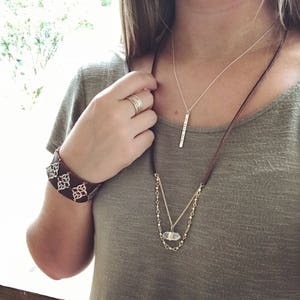 From music festivals to everyday errands, this necklace is perfect. 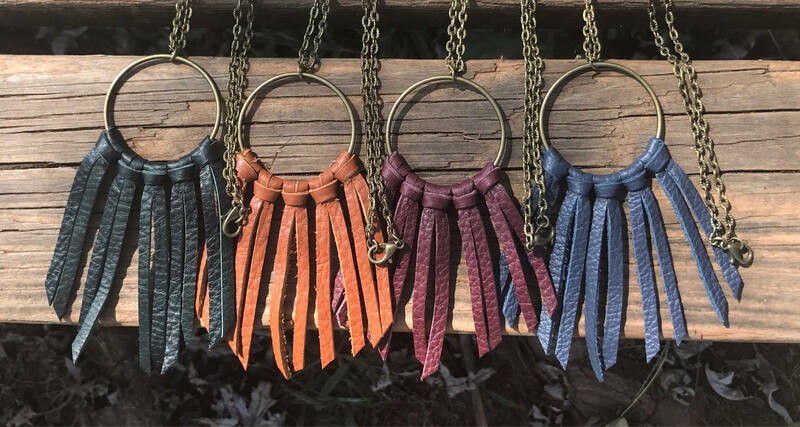 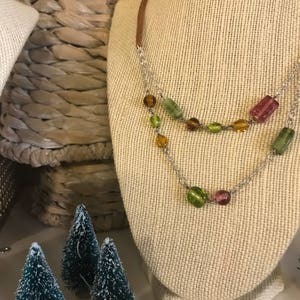 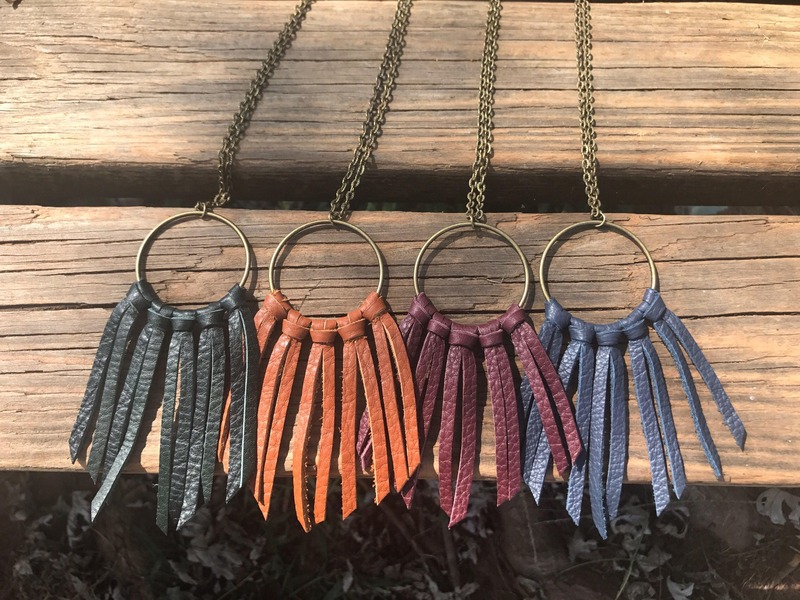 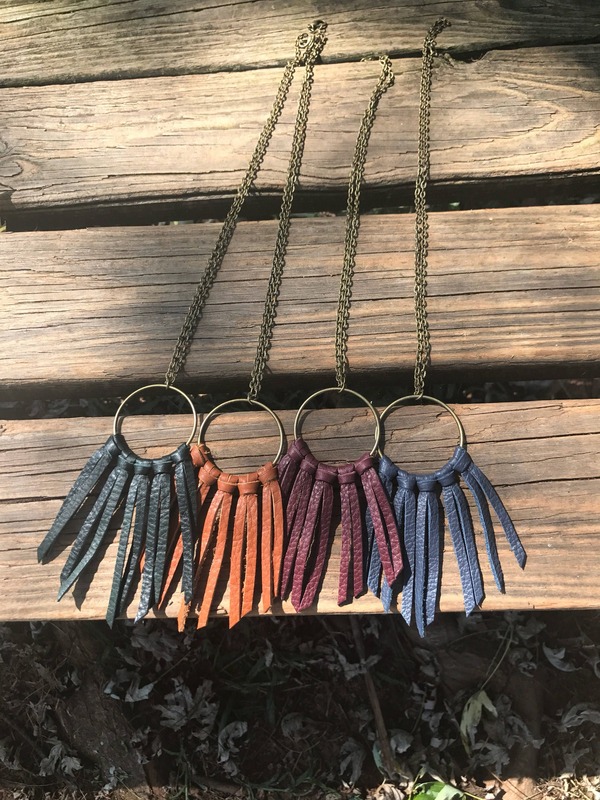 These fun Fall colors hang from a 20 inch Antique Bronze chain. 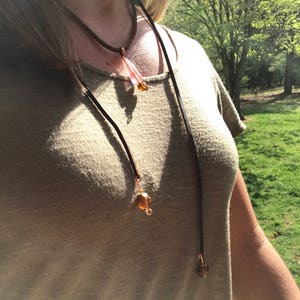 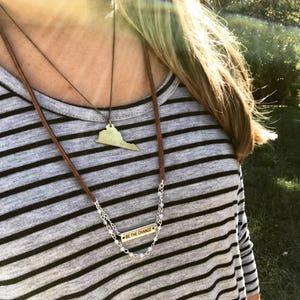 Layer it with some other necklaces, or wear it alone. 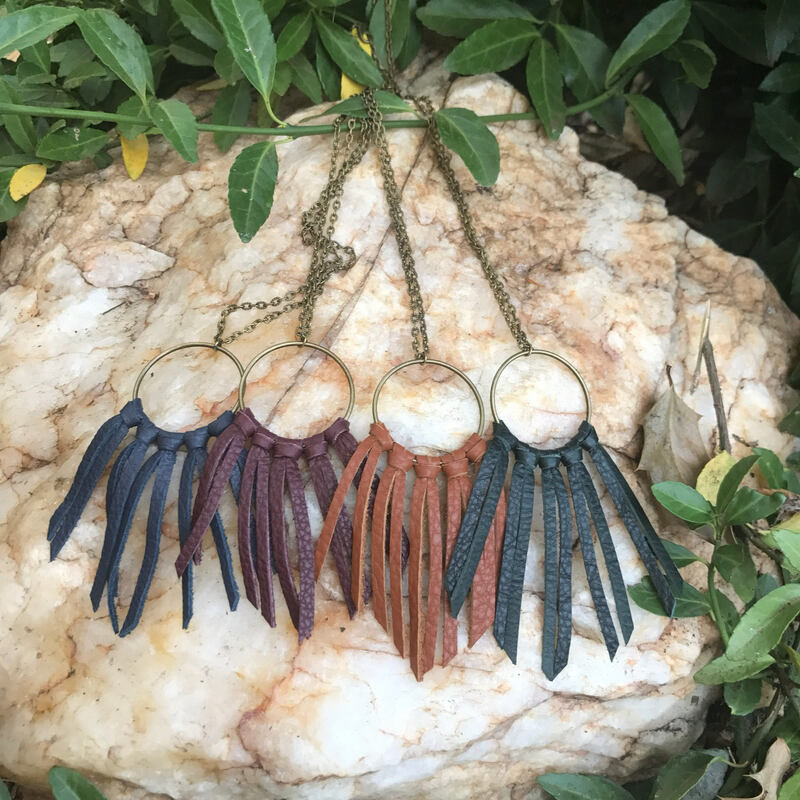 Be sure to get the matching earrings for the perfect boho look.